Optical Services Inc. in Sarasota, Florida offers the optical repairs needed to maintain your vision. 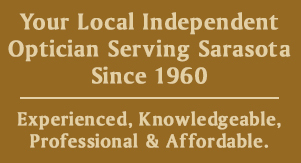 Serving the Sarasota area since 1960, we offer years of trusted and solid advice when it comes to your optical needs. 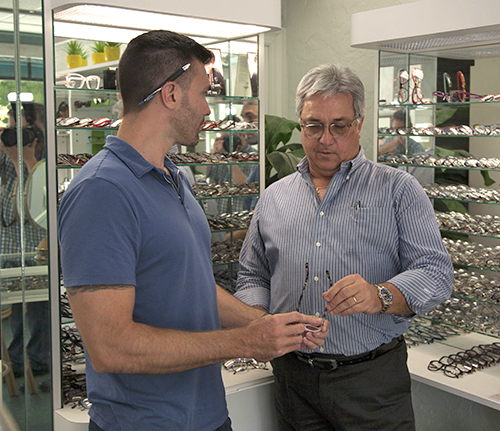 With us, you receive the most complete optical services, adjustments, and repairs in the local market. We cater to individuals by using the most advanced devices to enhance their visual performance for daily activities. Everyone deserves to see clearly-including you and every member of your family. You also deserve to have eyeglasses that perfectly suit your personality and style without breaking your budget requirements. If you live in Sarasota, FL, or in any of the surrounding areas, Optical Services is here to help you. Our experts have diagnosed families and individuals in the area for over 60 years, and we have the experience and knowledge you rely on to ensure you get the best quality for the price. We carry any type of lens or frame you need, including designer frames, nonprescription and prescription sunglasses, and contact lenses. We also provide glasses repairs to all of our customers. If a screw comes loose in your eyeglasses, if your lens breaks, or if your frames get bent or warped, come by our store in Sarasota, FL. We're happy to repair any type of eyeglasses or recommend new ones if your current glasses aren't salvageable. 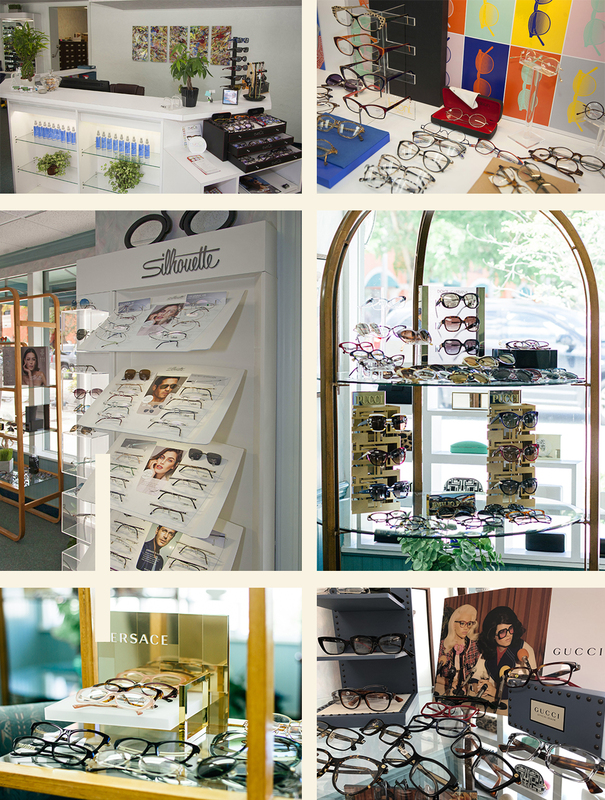 Our team specializes in difficult-to-find and specialty frames. Looking for a specific style or fit you can't find anywhere else? In most cases, we can help you find the perfect frames to enhance both your style and eyesight. We're the team to turn to when you want something unique or if you have a specific pair of glasses in mind. We want to make getting new eyeglasses as simple as possible for you, so we accept most major credit cards. From our convenient location in Sarasota, FL, we serve clients in both Manatee and Sarasota counties. No matter where you live in our area, feel free to take advantage of our excellent services. We're open Monday through Saturday, and we're easy to reach online. We offer top-notch brands to give you a fresh new look. Gucci™ • Giorgio Armani™ • Balenciaga™ • Porsche Design Eyewear • Dolce & Gabbana™ • Lafont™ • Versace™ • Pucci™ • Casanova™ • Cazal™ • Cavier™ • Coach™ • Cocoa Song™ • Lamatta™ • Kate Spade™ • Sillouette™ • OGI™ • Hugo Boss™ • jaguar™ • Ronit Furst™ • Neubau™ • Moshino™ • Carrera™ • Coasta™ • John Varvatos™ • Pro Design™ • Ted Baker™ • Kliniik™ • Fysh™ • Trina Turk™ and many more. Contact us in Sarasota, Florida for all your optical repair needs. Monday–Friday: 8:30 a.m. - 5:00 p.m.
© 2017 Optical Services Inc. All rights reserved.